One of the most colourful and interesting aspects of life on Tenerife is the fiestas. There are literally hundreds of these throughout the year. We tried to chart them once and decided it was an impossible task by the time we reached a mind-numbing 505 fiestas. The thing is that not only does every traditional town celebrate an endless number of fiestas throughout the year, individual barrios (neighbourhoods) within each town celebrate their own fiestas as well. So you get a municipality like Los Realejos in the north of Tenerife that proudly claims to have the most fiestas of anywhere in Spain – celebrating 80 plus each year. It begs the question – where do Tinerfeños find the time to do any work? Although there isn’t a fiesta season as such, summer sees a hike in the number of fiestas, as well as temperatures, with upwards of 60 a month being celebrated between May and the end of September. Our Tenerife Fiestas page doesn’t list every fiesta on Tenerife, just the biggest and the most popular as well as the more unusual examples. Where a town is known for having a particularly special fiesta in the month we’ve listed it first, otherwise entries are in alphabetical order. January is Christmas time for Tenerife’s animals as they get dressed up in areas with an agricultural heritage. There are parades and agricultural fairs in traditional towns across Tenerife where the livestock receive a blessing during the fiestas de San Abad. The biggest events take place in the north with Buenavista del Norte and La Matanza holding huge San Abad fiestas that involve oxen, goats, horses, donkeys, hunting dogs, lizards, snakes and cats and pet dogs whose dignity will be in shreds thanks to their owners dressing them in silly costumes. These San Abad celebrations usually take place on the third Sunday of the month. La Matanza is bigger with more animals and is also much more of a local affair although everyone is made to feel very welcome. The celebrations in Buenavista del Norte are more spread out around the pretty historic town centre and fields behind the town and is probably less intimidating for San Abad virgins. It’s only a short trip from the southern tourist resorts to see the Romería de San Sebastián in Adeje Town on 20 Jan. Even closer is the annual horse bathing spectacle at Playa Enramada also on 20 Jan between Del Duque and La Caleta in Costa Adeje. The fiesta lasts from midday till midnight and attracts thousands of onlookers. If you’re at the luxury end of Costa Adeje it’s only a short trot away. Arona town celebrates San Abad with a romería on the Sunday closest to 17th of the month. Tenerife’s fiesta capital, Los Realejos maintains its claim as the fiesta capital of Spain with not, one, not two but three fiestas in January, the best being the Romería de San Antonio on the 18th. Los Silos honours their animal population between 16 and 18 Jan. Although there are carnivals of various sizes in most traditional towns on Tenerife, we’ve only included the biggest and the carnivals that visitors show most interested in. The most historic carnivals are linked to Lent so actual dates change each year. Once the north has had its fun, a couple of places in the south of Tenerife hold their carnivals, spilling over into March. Santa Cruz throws the biggest carnival on Tenerife with Puerto de la Cruz comes second in the carnival stakes, attracting revellers from along the north coast. Once the competitions and elections of carnival queens are over, the big carnivals tend to fall into two parts; parades and the street parties. The street parties take place most nights with Monday being a particularly lively night whereas the parades are spread over carnival week. Carnival in Puerto de la Cruz is a more compact affair, focussing around the harbour and Plaza del Charco area. Most of the ingredients are the same but it does hold the most outrageous carnival event on the island, the High Heels Drag Marathon. Santiago del Teide council are always slow to post details about carnival so not all information is available at the time of writing. See February as carnival often spreads into March. Semana Santa in Tenerife is a serious affair. That’s not to say it isn’t interesting. Most traditional towns will have solemn processions during the week between Palm and Easter Sunday with the main events usually taking place during Good Friday. There are some places where the spectacle is quite different from what newcomers to Semana Santa in Spain might expect. An alternative Semana Santa celebration that is equally moving is the Passion. In Adeje Town on Good Friday (from midday) over 300 locals take part in an evocative and ambitious piece of street theatre that depicts the last hours of Jesus Christ. A similar sized Passion is also re-enacted in the plaza beside the Basilica in Candelaria on Good Friday. One of the liveliest romerías on Tenerife takes place in lovely little Tegueste usually on the last Sunday of the month. The little town near La Laguna becomes a sea of people and animals as ox drawn ships sail through the streets for the Romería de San Marcos. It’s a very busy and colourful fiesta which draws younger Canarios in traditional dress in their hordes. Vibrant and loads of fun. The most colourful and sweetest smelling festival on Tenerife is the Corpus Christi celebrations in La Orotava which can fall in May or June as it is always a week after the date of Corpus Christi. Beautiful flower carpets are laid on the lovely old streets around Orotava’s town hall and the Iglesia de la Concepción. The centrepiece of the event is the huge sand tapestry in the plaza in front of the town hall which is a transient work of art, weeks in the making and tramped over at the end of the Día de Alfombras (day of the carpets). There’s a party atmosphere and people travel from all over to see the carpets. Up until siesta time it gets vary, very busy, but it’s worth the slow crawl around the route to see these fantastic creations. Turn up after 3pm and you’ll find the streets are a lot quieter. On the Sunday three days after the Día de Alfombras, La Orotava holds one of the most vivacious romería’s on Tenerife in honour of San Isidro and the streets are filled with colour yet again. Flower carpets are laid in lots of towns across Tenerife (Santa Cruz, Guia de Isora, Tacoronte, Adeje etc.) in the week before La Orotava’s, but none are in quite the same scale, or as elaborate. La Laguna’s has more carpets but, like a lot of other places, most are made with coloured salt rather than flowers. Los Realejos parties all month… and into June with an equally packed programme of events. The crowd puller is the three hour firework display, Fuegos de Mayo, from 10pm (ish) on 3 May. This is the biggest and most spectacular display in the Canary Islands. The third of May is Dìa de la Cruz when crosses in Puerto de la Cruz are elaborately tarted up to celebrate the founding of Santa Cruz. This is also celebrated in Santa Cruz and Los Realejos. Santa Cruz celebrates its founding in 1402 with a month long programme of mainly free events in the city (exhibitions, dance, concerts, sports, markets, fiesta queens). May is one of the best times to visit the city as there will be something interesting to see most days. The Día de Canarias is on 30 May when there is some sort of celebration/event linked to traditional life in the Canary Islands in most places. Fiestas de San Juan – the time of magic and love, on Midsummer’s Eve (23 June) Canarios head to the beaches across the island to enjoy beach parties and a midnight swim. The biggest and best, usually featuring live bands, is at Playa Jardín in Puerto de la Cruz. It’s not the place for anyone who doesn’t like crowds as the beach is packed to capacity with revellers. If you don’t mind crowds and a party atmosphere it’s great fun – food, lots of wine and a swimming costume are essential. Midnight bathing is said to guarantee good health, fertility and the chance of love. Midsummer morning (24 June) sees the wet and noisy baño de las cabras (bathing of the boats) in Puerto de la Cruz at the harbour. 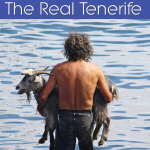 The goat bathing starts from early morning and is fascinating to watch as goats from the La Orotava Valley are dragged kicking and screaming into the water. No animals escape their annual dip; after the goats it’s the turn of horses and any other animal that wanders by. It’s a tradition that dates back to the time of the Guanches. In some other towns, especially in the hills above Icod de los Vinos, the San Juan tradition is to leap over bonfires (called Los Hachitos). Bumming about on the beach is a far less risky business. Many other coastal towns hold beach parties to celebrate Midsummer’s Eve. There are two weeks of events to celebrate the fiestas patronales in Granadilla de Abona between the end of May and middle of June. These include the usual fiesta suspects – fiesta queens, traditional dances, agricultural fairs as well as a classic car exhibition and a rally. Probably best for visitors is the main romería which usually takes place in the first week of June from midday. There are a few romerías to choose from this month across Tenerife: Guamasa, La Laguna and Tacoronte all have these harvest processions. There are also traditional fiestas in El Sauzal, Santiago del Teide and Guimar. It’s the time of year for Tenerife’s fishermen to cut loose and party. The serious part of the Virgen del Carmen fiestas involves carrying her through the streets and onto a waiting boat for an annual cruise. The fun part is the music, games and usually sea themed frolics (pole sliding is particularly good) that go along with the celebrations. Puerto de la Cruz is the place to be as the Dia de la Embarcación (usually the Tuesday closest to 16 July) forms part of the town’s fiestas patronales which last throughout most of July. There’s partying the whole day before the ‘Virgen’ goes on her little trip late afternoon/early evening. The Sardinada the previous night is also good fun, if you like lashings of wine, sardines and lively Latino bands. There are celebrations in other fishing communities around Tenerife, although some don’t celebrate the Virgen del Carmen on the official date. Dia de la Trilla is a favourite of ours and involves more Tenerife time travelling; a small and simple affair where horses and oxen thresh wheat, people sing and everyone wears a straw hat. Also usually good for picking up local cheeses and breads. It’s held in San José de los Llanos in El Tanque usually on the last Saturday in July. Step back in time 50 years in Chirche (Guia de Isora) to celebrate the Día de las Tradiciones on the second week in July when life in the town returns to the way it was before tourism changed their world. Houses are decked out the way they would have been decades ago when life in Tenerife’s hills revolved around agriculture. There are demonstrations of the ‘old ways’ from 10.00am. Romeria de San Benito Abad, one of the biggest romerias on Tenerife, takes place in La Laguna on the second Sunday of July. There are various events throughout the month in Tenerife’s former capital. The Fiesta de la Virgen de Candelaria celebrates the arrival of the black Madonna during the age of the Guanches on Tenerife and sees Canarios from across the island make their way on foot to Candelaria. Up to 100,000 pilgrims pack out Candelaria during the main fiesta days. The afternoon and night of the 14th is when the romería is held and the re-enactment of the sighting of the ‘Virgen’ takes place has to be seen to be believed. The 15th is more serious with solemn processions around the Basilica. The Romería de San Roque on 16 August is one of the nicest romerías on Tenerife mainly because it’s in one of the most picturesque settings. Apart from that it’s the usual extravaganza of decorated carts, locals in traditional dress, lumbering oxen, goats, donkeys and lashings of food and wine being handed out from carts. Also the Fuegos del Risco takes place once every 5 years (next is 2020) when fireballs are rolled down the hill, replicating the lava flows from the eruption in 1706. It’s an incredible sight. One of Tenerife’s ‘quirky’ fiestas is the Hearts of Tejina (Corazones de Tejina). Three beautiful, giant hearts made from fruit and pastries depicting local life and scenes are paraded through the towns streets before each is erected outside of the church to abuse from the creators of the other hearts. Like most Tenerife fiestas there are other events taking place around the main day. The Corazones de Tejina usually take place on the last Sunday of the month, but it’s always worth checking as there can be anomolies. One of the most popular firework shows of the year in the south of Tenerife takes place off the coast of the small fishing town of Alcalá. The intimate fiestas last for a few days but what everyone wants to know is ‘when do the fireworks go off?’ It’s normally always the same date – 15 August. More fun with the fishermen in La Caleta in the first third of the month with events, concerts and dances. The main highlight is the Virgen del Carmen procession which takes place from midday on the last day of the celebrations. There are processions, sporting events and concerts in Adeje throughout the month and into October for the Fiestas Lustrales. A serious amount of celebrating takes place throughout the month in Tenerife’s former capital city of La Laguna for the Fiestas de Santísimo Cristo. There are classical concerts; ballet; the annual Los Sabadeños festival featuring the island’s most famous traditional group and friends; then there’s a chariots of fire parade with giants and floats and the famous Fuegos del Risco firework display from San Roque Mountain followed by a verbena (mid month). In most places the Virgen del Carmen had her annual sea trip a long time ago, in Los Cristianos it doesn’t happen until 8pm on the first Sunday in September (check dates each year). It’s a popular event in the southern resort with open air dances taking place over the weekend. Normally tranquil Los Silos celebrates Nuestra Señora de la Luz in September with the usual fiesta suspects and live music jazzing up the picturesque main plaza especially at the weekend during the month. One of the nicest towns in the south of Tenerife is a good place to be introduced to the world of Tenerife romerías (harvest festivals) as it’s not too far from the resort areas. The Romeria de San Miguel usually takes place on the last Sunday of the month. Tacoronte is another northern town where not a lot apart from partying happens in September as it’s their Fiestas de Santísimo Cristo de los Dolores this month. Usual highlights are a turron and wine tasting event a Verbena and firework display. Tegueste also parties till mid September with parades, processions, fiesta queens, open air dances and music festivals and wine and mushroom routes to celebrate Nuestra Señora de los Remedios. The Monday midaway through the celebrations is a lot of fun with a giant paella, a parade of giant heads and a battle of flowers before a wine fuelled concert. Tourists visiting the south of Tenerife don’t have to travel far to get a generous serving of tradition during October. The Fiestas de Patronales in Adeje during the first half of the month includes all the popular ingredients: Religious processions and parades, folklore concerts and beauty queen contests, exhibitions and sporting events. More southern fun and fiestas in Arona in the first week of October where the Fiestas Mayores include more religious processions and beauty queen contests as well as open air dances. All the fun takes place in Arona town. For a truly different fiesta off the beaten tourist trail, La Librea in Valle de Guerra which takes place mid month is one of Tenerife’s more curious celebrations. It involves the re-enactment of a battle between Christians and Turks that took place in 1571 in Lepanto. Boats sailing down the street is always one of those sights that makes you wonder if your combinado has been spiked. Over 200 townspeople and professional actors turn the streets into a surreal battle zone for the night, accompanied by music to lend it even more dramatic effect. The night of the 29th is really for children as they get to drag pots, pans, washing machine drums and anything that clangs or bangs around the streets as part of the celebrations called Arrastre los Cacharros. For adults, the best thing about celebrating the Fiesta de San Andrés (St Andrew) is the wine and chestnut stalls set up around the harbour throughout the month. The San Andrés celebrations in Icod de los Vinos (29 and 30 November) aren’t for the faint hearted and involve younger residents careening down the town’s streets on trays to crash into a mountain of car tyres. Who needs Playstation? This takes place throughout the day and becomes increasingly wilder after dark as more and more wine is consumed and some older and former downhill racers fancy recreating past glories or, more usually, crashes. In the end, it’s all about wine and there are plenty of bars and stalls to drink wine, eat food and soak up the scene. Although these are the most popular events, there are celebrations of wine and chestnuts in towns all along the north coast and in some areas of the south as well. Adeje always put on a decent Christmas programme with some of the best events taking place in the town of Adeje and at La Caleta. For Christmas concerts, markets and the Los Reyes Magos parade, Adeje Town is best whereas the end of year party at La Caleta is probably the best outdoor bash in the south of Tenerife. Events in Arona are a bit spread out between the resorts (Los Cristianos and Playa de las Américas) and the municipality’s main towns in the hills but there are concerts, markets and various events planned. Packed agenda throughout the month in Puerto de la Cruz with classical concerts, Christmas markets, belen exhibitions, parades including Los Reyes Magos, folklore concerts and the end of year party in Plaza del Charco. Santa Cruz has one of the most extensive Christmas programmes on Tenerife. The capital city looks fabulous after dark and there are events galore with classical, jazz and folk concerts, markets, art in the street etc. The big event is the free Christmas Day concert by Tenerife Symphony Orchestra at the port. All of Tenerife’s municipalities have Christmas programmes involving the sort of events mentioned.